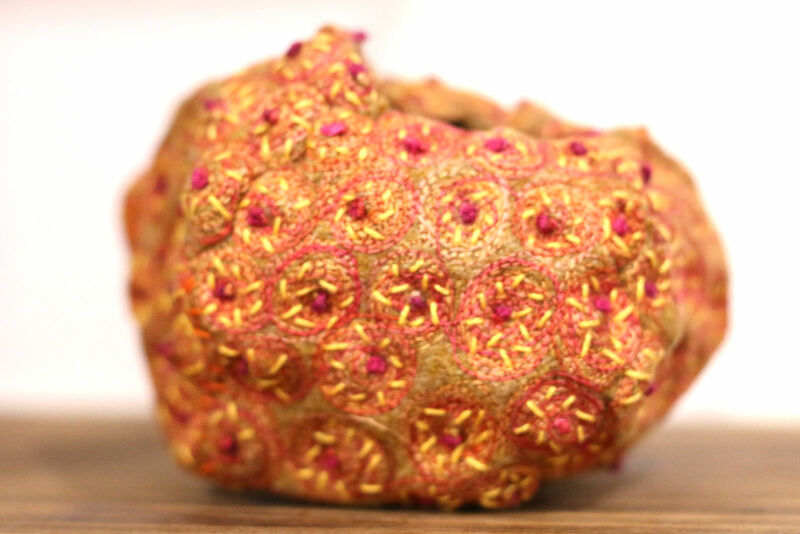 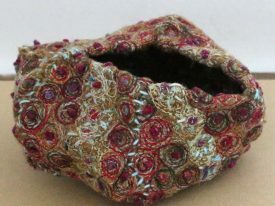 Sea urchin shells have such beautiful, individual textural markings which I love to draw and stitch. 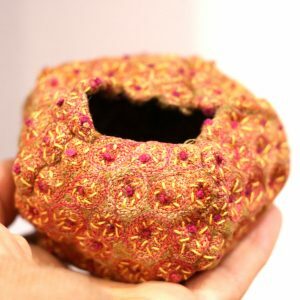 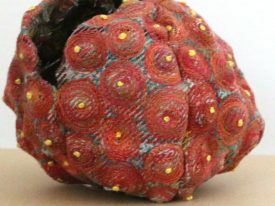 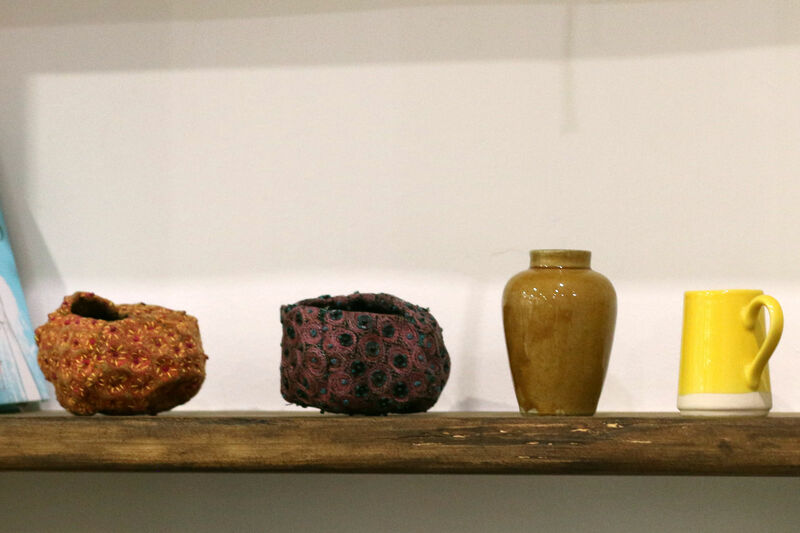 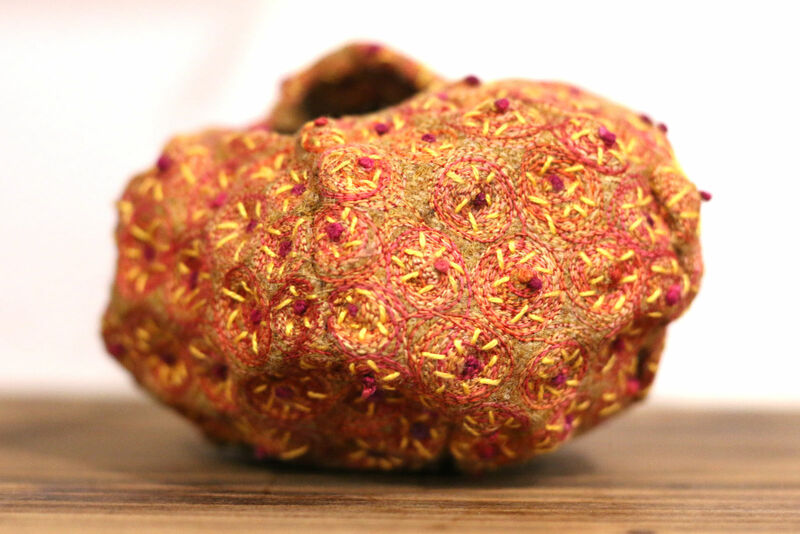 This urchin pod is created from waste fabric. 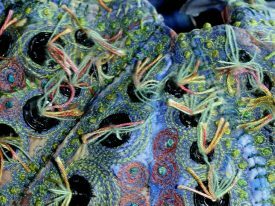 Machine and hand embroidery changes the initially flimsy fabric so that when the segments are stitched together they hold their own shape. 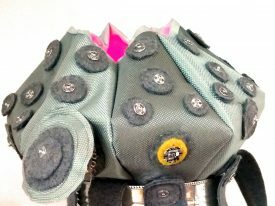 Each pod is unique and is a response to the background fabric.